Domain Monetizing - OnlineNIC Inc. Earn Unlimited Revenue with OnlineNIC Domain Monetizing Service! OnlineNIC offers a BEST opportunity to monetize your unused domains. You will surely benefit from OnlineNIC Domain Monetizing Service and soon be able to monetize domains and make money from your existing domains. 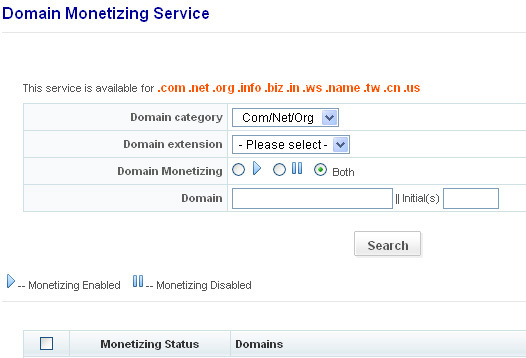 Login here to start monetizing your domains! If you are currently not an OnlineNIC member, simply sign up for a member account and upgrade your membership immediately! You could email us to sales@onlinenic.com for more information.